The Half Nerd ep. 57.5: Why Gordon is wrong, ultimate battlestations, and behind-the-scenes at The Full Nerd! 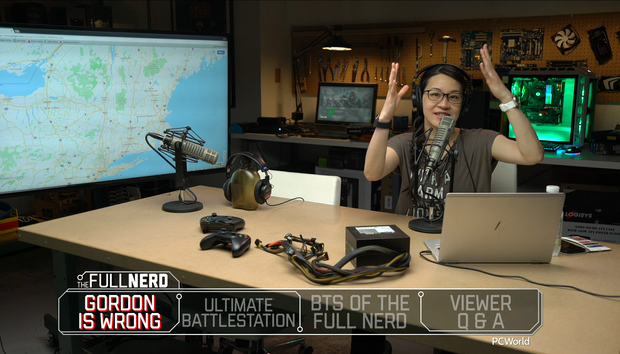 In this special "half" episode of the Full Nerd, Alaina Yee and Adam Patrick Murray sneak into the studio to chat about why Gordon is just plain wrong about certain things, ultimate battlestations, and how we make the show. Also, don't forget: There's still one week left on our Threadripper 2 t-shirt giveaway! We'll announce the results next week, when we're back to a full crew. Back to this episode: You can witness all the hijinks in the video embedded above. You can also watch The Full Nerd episode 57.5 on YouTube (toss us a follow while you’re there!) or listen to it on Soundcloud if you prefer the audio alone.